Marivic Stone lives with her beloved grandfather in a small town that just happens to be famous for a medical discovery that saved humankind — though not without significant repercussions. Marivic loves her best friend, Saren, and the two of them promise to stick together, through thick and thin, and especially through the uncertain winnowing procedure, a now inevitable — but dangerous — part of adolescence. But when tragedy separates the two friends, Marivic is thrust into a world of conspiracy, rebellion and revolution. For the first time in her life, Marivic is forced to think and act big. If she is going to right a decade of wrongs, she will need to trust her own frightening new abilities, even when it means turning her back on everything, and everyone, she’s known and loved. *2018 Red Maple Award WINNER! Sam knows all about magical creatures and is less than impressed with her sedate hamster, who is content to eat, sleep, and drool. But as Sam rhymes off her favourite fantastical beasts, she realizes how challenging magical pet care can be. Walking a dog is one thing, but what about flying a Gryphon in a thunderstorm? When a kitten sneezes it’s cute, but when a dragon sneezes? It’s a fire hazard. This pet story with a twist is the perfect primer on magical creatures for kids not quite old enough for Harry Potter. Purchase at Amazon, Barnes and Noble, Amazon.ca, Indigo.ca or visit your local bookstore. Add to Goodreads here. Fourteen year old Reenie Starr loves her family’s summer resort, Sandy Shores, more than anything else on earth. The resort falls on hard times the summer of 1962, so the Starrs decide to hire a young dancer from the city to come up and run an entertainment program. When 17 year old Gwendolyn Cates arrives, Reenie is starstruck by her glamorous looks and exciting lifestyle. But Gwendolyn is not exactly who she seems to be, and her arrival sets off a series of events that will change Reenie’s life forever. 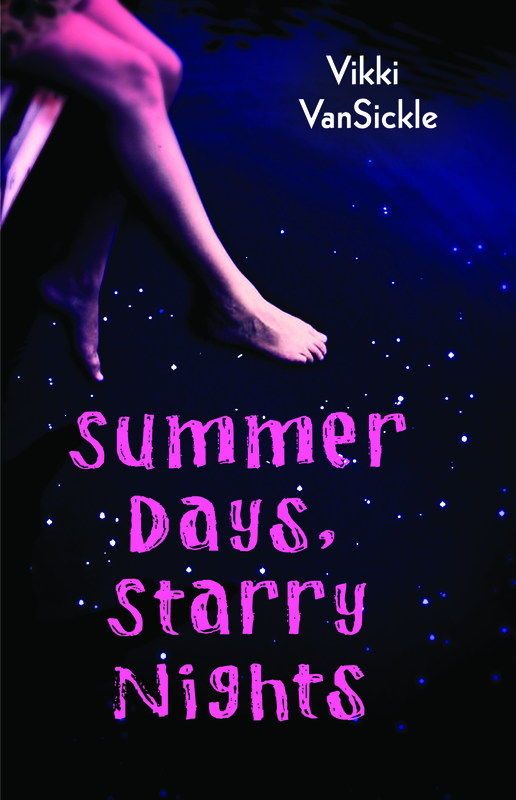 “Not only tackling some serious issues, but also with a little bit of Dirty Dancing-type nostalgia and the potential of a promising first love, Summer Days, Starry Nights is summer reading at its best. Verdict: Excellent.” Fabbity Fab Book Reviews. Purchase at Indigo, Amazon or your local bookstore. Add to Goodreads here. Brilliant. Best-ever. That’s how grade seven was supposed to be, but so far things aren’t turning out as well as Clarissa Louise Delaney had planned. It’s hard enough being the unexceptional daughter of a bona-fide beauty queen, but lately her best friend Benji can’t seem to stick up for himself, Michael Greenblat keeps giving her strange gifts, and Mattie Cohen, world class good-two-shoes,seems to think they are friends. Things can’t possibly get any worse, or can they? In this year of surprises, you’ll laugh as Clarissa tackles boys, bullies, and the one b word she can’t bring herself to say. Love is a Four-Letter Word Love: little word, big consequences. Clarissa has never given much thought to the word herself; she has other things to worry about, like her mother’s illness and how to get through grade eight now that her best friend Benji has been adopted by a bunch of musical theatre nerds. When Mattie becomes distracted by a crush and her mother starts spending too much time with her handsome personal trainer, Clarissa wonders when she stopped being enough for all the people in her life. Enter Michael, who seems to be interested in more than just friendship. But is that what Clarissa wants? 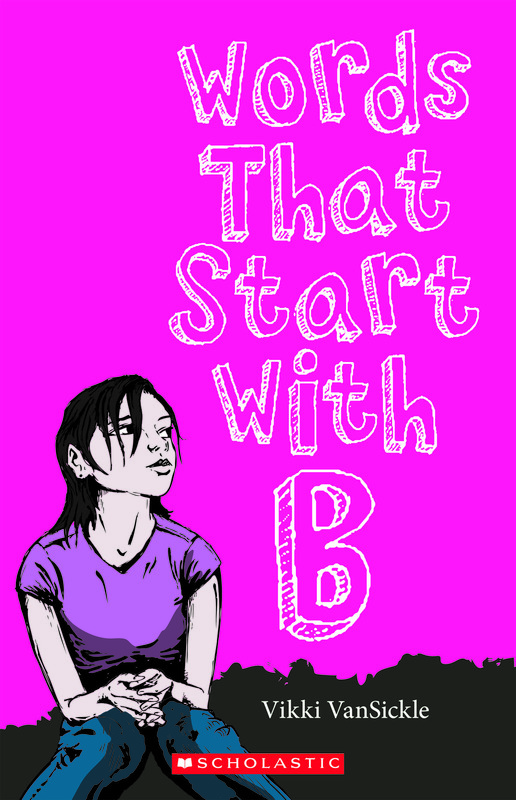 In this laugh-out-loud follow-up to Words That Start With B, Clarissa discovers that while the word may be simple, love rarely is. September, 2011. Order here and here or at your local independent bookstore. One summer. That’s all the time it takes to set your world spinning, or so Clarissa learns. Feeling abandoned by Mattie (camp), Benji (drama school), and even Michael (baseball), Clarissa feels even more alone when her mother accepts Doug’s proposal of marriage. This announcement gets Clarissa thinking about her father, and her search for answers leads to her stumbling upon information about the secret teenage life of her mother, and more importantly, about Bill, her absentee father. Things get complicated when she spots a man who looks a lot like Bill. Will Clarissa be able to move beyond the past and take part in Annie’s vision of the future? Happily ever after has never seemed so impossible. Order here, here or at your local bookstore! 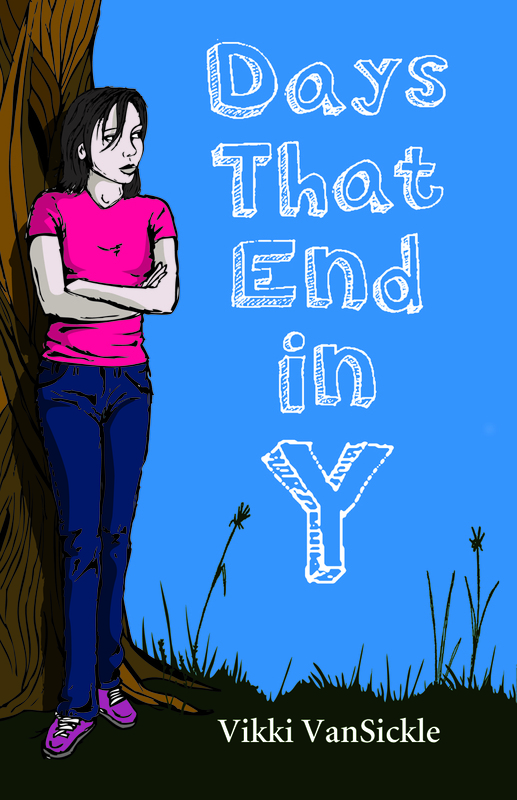 See the winner in the DAYS THAT END IN Y book trailer contest here! In this digital YA short, I go back to my own high school years to discuss what it means to be Gold in a sea of Orange and Blue. After a stinging encounter with a film agent left me determined to step out of my good girl persona and gather some Authentic Teen Life Experience, I decided to say yes to something that scared me the most: a bush party. Twenty percent of the proceeds will go to Girls’ Rock Camp Toronto. Purchase Amy Abbot is Having a Party at Kobo, iTunes or Amazon.ca. Add to Goodreads here. think that the age group who would like it most would 10-13 years old. I think that you have a talent for Children’s literature. I can’t wait for your next book(if you write one) to come out. i’ve also been to your bookstore a million times and have heard you on CBC radio too. You have a real talent to know what kids really like from boys who hate reading to girls who are bookworms. Hi Madeleine! This message made my day 🙂 I am so glad you enjoyed the book and were able to relate to the characters. The only thing I love more than writing is talking about books, so next time you are at the Flying Dragon make sure you say hello! I’m lucky to have great fans like you! Hi, is there gonna be a third book?? Hi, Heaven! I’m not sure yet about a third book. I feel like Clarissa still has some things to do and lessons to learn, so keep your fingers crossed! Thanks for stopping by! Hi Vikki, I read your book Words That Start With B and I thought it was amazing! I loved it so much that as soon as I finished the book, I checked in the front to see when you wrote it and got so sad that it just came out. Because that means that now i’ll have to wait a few more months to read the next one. I really loved the book and hope that you write more. Hi! I’m Garrett’s Mom!! I will find your book(s) for my 12 year old niece and also put her on to the other books you’ve listed in your reviews and lists…All the support in the world for you as you tackle the literacy issues at cityhall ( there has to be a book in there for your superhero persona)….you and Margaret Atwood and friends… very best wishes from a life long reader, retired teacher and budding blog writer….. I have your book words that start with b and find so easy to relate to I think that you know how to write the perfect story and that your next book will be even better. I’m so happy you found Words That Start With B relatable. That is one of the highest compliments I could ask for! 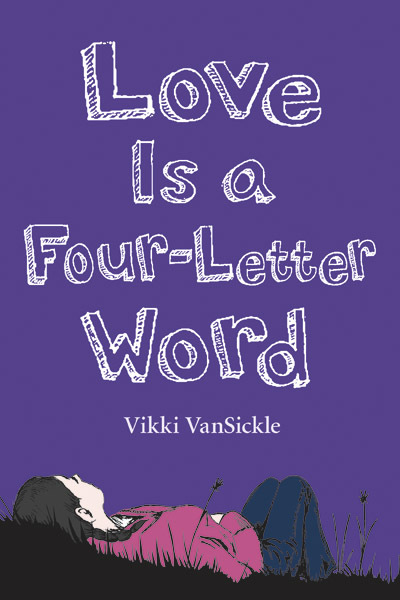 Let me know what you think of LOVE IS A FOUR LETTER WORD! Hey Vikki! My name is Avrie and I’m from Ottawa, Ontario. I love both “Words that start with B” and “Love is a four-letter word”. Clarissa is exactly like me. I have dark hair and dark eyes, I’m almost 13, I love to sing and act, I hate skirts, boys completely frustrate and confuse me, perky people take all my energy out of me, my mom has a boyfriend (who sometimes a goofball), I love books, and I’m pretty tomboy-ish and down-to-earth. Your one of my favourite authors, especially since your canadian! I’m an aspiring author myself. Books are my life. So, thank you for creating Clarissa and Benji and Michael (and his cute baby brother, Theo) and Mattie and Annie and Doug (I can’t say it didn’t bother me not to put Denise in this list). Thank you. Are you gonna make a 3rd book in the series???? Hi Lea! I’m so glad you enjoyed hanging out with Clarissa, Mattie and Benji. I love writing about them, and would love to continue their adventures. As for a third book, keep your fingers crossed! Wow! Thanks, Mia! Your comments are so inspiring. Keep your fingers crossed for a third book.I love Benji, Clarissa and Mattie and am always thinking up fun things for them to do, so I would love to write more about them. If there is a third book I will be sure to announce it here on the blog, so keep stopping by! And good luck with your own writing. Start writing now and who knows where you will end up! Thanks for making me smile, Mia! Hi Vikki nice to meet you i’m Veronica i am in 5th grade. tomorrow is a book fair then i saw your book i think it’s interesting so i am going to buy it. I love it so much at the cover of your book the first thing that i see was very good please say theres more i love to read it. I have a question do you think that your book is good for ten years old? Hi Veronica! Thanks for stopping by! I’m thrilled that you will be picking up a copy of my book at your book fair! I think both of my books are good reads for 10 year olds. The main characters are about your age and I’m sure you will be able to relate to them from time to time. You’ll have to let me know what you think of the book when you’re finished! I’ve read both! And enjoyed them very much! They had humor, sadness, happiness…..mainly it was a very well writen book! Thanks! Thanks so much, Taryn! I like books with a little bit of everything, and I see you do, too! Hopefully I’ll have some book news for you soon! Is there going to be a third book? Is there anyway to get autographed copies of your books? It was so handy when you were at the Flying Dragon. We miss you and everyone at the store. Hi Carah- I’m thrilled you’re enjoying it! I haven’t read any of your books yet but I like the sound of them, I will be tracking them down. I have 3 children so research good books for them as well as me. I am in UK and I see on Amazon I could only buy Summer Days, Starry Nights or Words That Start with B . And Waterstones do not stock your books at all. Can I suggest that you set up an author profile with Amazon. You have to do the two – they don’t just move the info across to the separate sites for you. I know I often click on the author profile to find out more about them and a list of all their books. I think this a really useful free service on amazon and sometimes knowing more about the author helps me decide which book to buy. Even if I then buy the books somewhere else. BTW – I love your blog. This is very helpful information- thank you so much for the tips! Hi there, do you know of any teachers who have done this as a Novel Study in classes yet? plz write another book in the series. I love them. I can relate so much! Hi Vikki. I read your book called ” summer days, starry nights ” and it was really interesting. I hope you can be at the forest of reading festival in London at the western fair! hello vikki, my friend alison at the hamilton public library bought summer days, starry nights for me and you wrote a lovely inscription in it. i do love scholastic. i just wanted to say that i’ve read words that start with b and love is a four-letter word. and i absolutely loved them. you’re an inspiration! Thanks so much, Peach! If you want more Benji and Clarissa you should read DAYS THAT END IN Y, it picks up their story a few months later. I have read Where She Went and I loved it, so I’m VERY flattered that it reminded you of LOVE IS A FOUR-LETTER WORD!